Suffering from stress & anxiety? Stress and anxiety can interrupt the smooth flow of energy throughout the body. Low level laser therapy has actually been shown to help energy flow smoothly again, helping to reduce stress and lower anxiety. and relax muscles. The laser stimulates the release of endorphins, those natural “feel-good” chemicals, creating a sense of overall well-being. 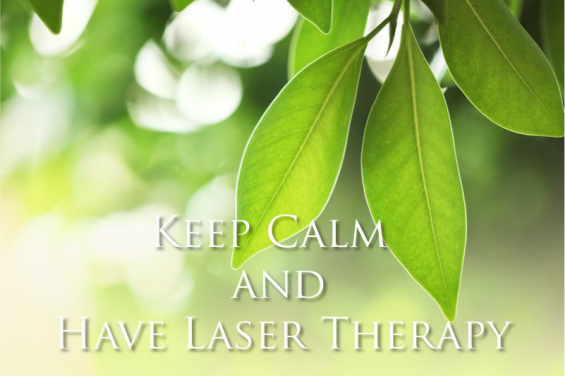 Low level laser treatments involve a cold, soft laser beam applied to specific energy points on the body (ears, hands, arms, wrist and feet). By targeting the energy points associated with stress and anxiety you will feel the tension leave your body. a try. Once the dark & heavy feelings of stress are relieved you will feel more confident in your ability to cope with the challenges of life, and ultimately, a happier, healthier existence will be restored. Call Calgary Laserworks at 403-301-3730 today so that we can help you jump-start the rest of your life!